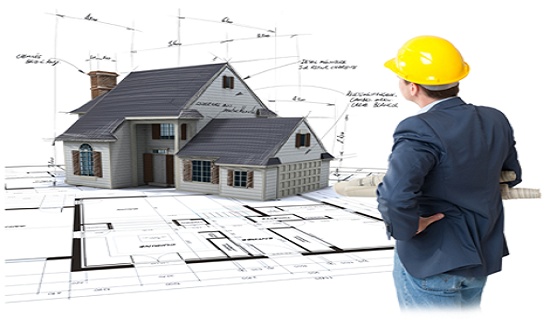 An architect is the person who designs the buildings, homes, offices, and other structures with proper plans and overseeing the construction of the buildings. The term architect is derived from the Latin word “architectus”, which is derived from the Greek words “arkhi-” meaning “chief” and “-tekton” meaning “builder”. Hence, the word architect means chief builder. It is of three types: (1) building architect, (2) landscape architect, and (3) naval architect. Architecture means practicing architect or, broadly, it is the process and the product of planning, designing, and constructing different structures like buildings. The job is office based. It also requires visiting the sites and the clients out of the office. On site, protective gears like headgear and protective boots must be worn to avoid any injury or damage. Freelancing is also available. Self-employment serves a basic need for all architects: freshers and experienced. In a working day, significant travelling is possible with payable mileage, no vehicle is provided. The job does not include overnight travelling. Thus, females can work comfortably. 12. managing the environmental impact of the project managed. The field of an architect is very specialized and fascinating. There are certain skills required that make this career a lucrative one. It has been predicted that this field is growing at a faster rate than any other field. Therefore, the salaries are expected to increase for experienced fellows. According to the Bureau of Labor Statistics (BLS), the annual average salary of an architect is $76,750. Salaries vary according to the location and size of the employing organization. To be an architect, it requires certain academic qualifications. The minimum requirement is a bachelor’s degree. Significant work experience with someone professional in the field and a mixture of work like freehand drawings, sketches, models, and photographs are what looked in by the interviewer. But the standard route to enter the architectural profession includes a total of seven years, including higher education, with some training accomplished in three parts, according to the Royal Institute of British Architecture (RIBA). 8. strong imagination and the ability to think in three-dimensional (3D) structures and then create 3D structures. Employers at Ragns are waiting for a right-brained architect who can perform planning, designing, and overseeing the construction work. The one to fulfill the client’s needs and produce designs that are sustainable, aesthetical, and functional are in demand. If a fascinating, creative, tough, and innovative career appeals you, then architecture is your career destination. Find your dream job, work under professionals, and get hired without waiting for opportunities to knock your door in just few simple steps: log on to www.ragns.com; build your profile; and upload your resume. Get job alerts from the employers in your profile free.